If your passion is making people look good through various beauty services, getting into the beauty business may be a good investment! Below are important things to consider in putting a salon business. In a salon business, you must pick your location carefully. – You won’t go wrong with choosing to put your salon in a mall. – You’d also want to cater from Class A to C.
– Spend time looking for a good location and an area that would give you a comfortable size. – It’s also a good idea to pick an area with lots of foot traffic if you think you’ll depend on walk-in clients. – If you prefer new supplies, shops like Hortaleza, HBC and Accessories and Beauty Equipment stock everything you are likely to need. – It is also important to buy high-quality shampoos and chemicals for nail care, hair treatment and coloring to please your clients. It’s always a must to recruit good people for your parlor. – Your staff should have the technical expertise especially in hair coloring and styling using international standards as a benchmark. – They have to undergo regular and constant training to update them on new products, hairstyles and customer service. – Very important to travel abroad to attend some conventions / seminars. Continuous research is very important to know the latest trends. – Think how can you innovate! To put up a 50-60 sq. meter salon in a mall, be prepared with at least 3 to 3.5 million pesos! Have you been dreaming of owning your salon? With this insider know-how, you can make that start! There are different ways to establish yourself in the hair industry. You can open a franchise hair salon, wherein you pay money upfront for the license of opening the salon under an established brand name. 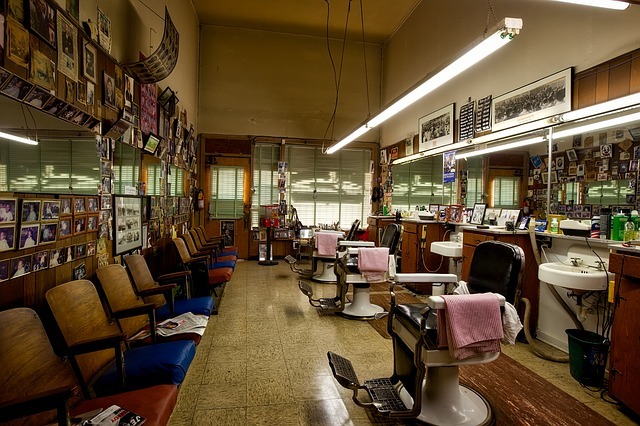 You can purchase a well-established salon from someone who planning to retire from the business. Another option is to start a salon using your own money. We can also accommodate any other topic within your expertise that you may want to talk. We look forward in to having you as part of our team! Planning to put a kids hair salon, please help me find suppliers for the equipment and consumables. @aldenavila we had SEC permit.. Its corporation permit for 5 stockholders which costed more than 50k and we hired accountant to do it and we gave the money needed to her every week so im not sure with all in all total expense for the permit but it wasn't more than 100k.. if u get DTI permit i heard its cheaper.. there are many under the table bribery to make the permit procedure done faster and it also depends on the city..
Hi , from your experience is that true that the business permit will cost ranging from 100 – 200 thousand??? Kindly email me also where we can buy quality salon supplies. hi! there actually I had plan to start a salon business I want to start small salon in our garage so I can save rental so I want to ask how much the total start of getting a business permit then materials for it. hope I could gets some tips from yours best regards guys!